After writing about my Uncle Rob, I wanted to keep going on the track of Uncles and honor my Uncle John. He was the one uncle I never got the chance to meet. He inspires me because he also did research on the Yeldell Family. I do not have his research nor have I gotten as far as I heard he did. 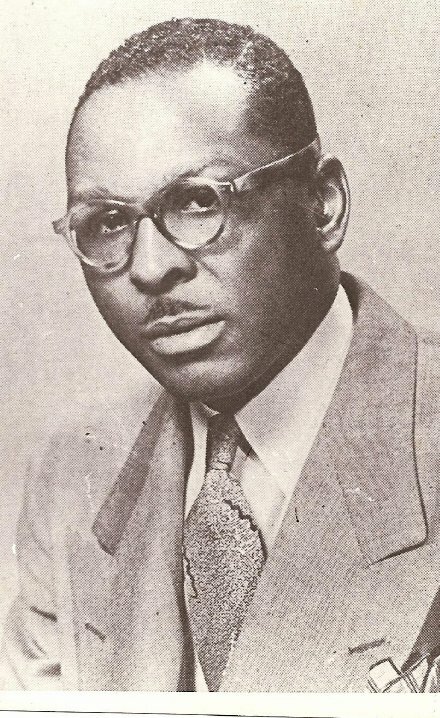 According to stories, he connected the Yeldells (direct descendants) to Alexander Dumas the writer of the Three Musketeers; he received a letter from JFK (before he was President) asking him to be on his cabinet if elected (my uncle died before that could happen); and he found that the black Yeldell’s originated from Haiti . I did not want to go by this because my family can tend to brag so I did my own quick research on him. Well I am not one to brag (smile) but he is a true Black American to be honored for Black History Month. My uncle’s name was mentioned with greats like Sammy Davis Jr., Thelma Carter and Quincy Jones. He also has several papers published in governmentally funded projects. He was awesome. Thank you Uncle John for passing your drive and determination to learn more about our family on to me. To hear more about my Uncle John you need to stay tuned I am waiting for information to come to elaborate on the award that was named after him and why.